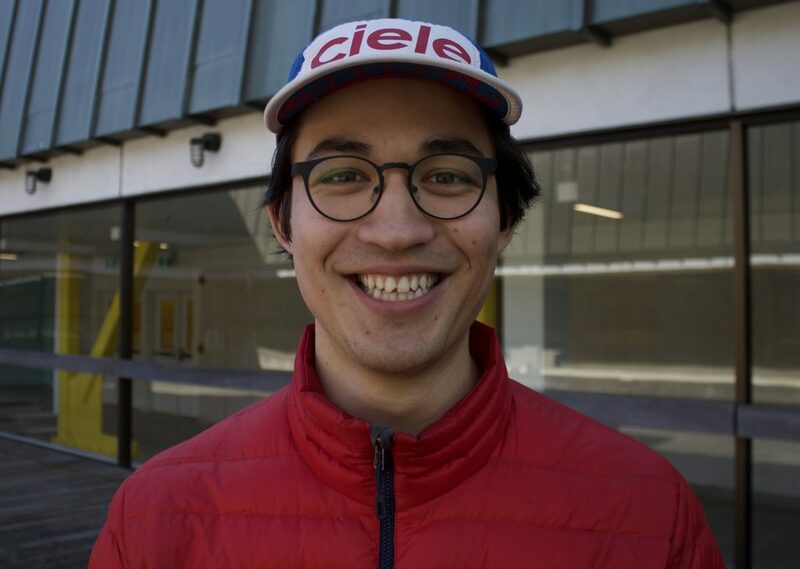 Rob Hechler said he never had an opportunity to connect with his Japanese ancestry until coming to UBC. Rob Hechler never thought much about his mixed-race heritage when he was growing up playing ice hockey with his all-white friends in Brandon, Man. That changed when he started studying at the University of British Columbia in 2015. “I didn’t understand my Asian side before I got here and I feel like my identity has changed a lot. I’m now more aware of my Japanese side which I wasn’t at all before – it was a strange awakening,” Hechler said. Hechler feels more at home in Vancouver, due to the high rates of mixed Asians in the city. In 2016, over 50 per cent of people in the city identified as a visible minority, according to Statistics Canada. The city is well-renowned for its Asian diaspora, but less often discussed is its growing mixed-Asian community. According to Statistics Canada, 18.9 per cent of young Asians in B.C. aged between 15 and 24 had multiple ethnic origins in 2016. For people age 14 and under, the number was even higher – a whopping 32.4 per cent. The numbers are high enough that this group now gets its own festival in the city. Jeff Chiba Stearns, an expert in mixed-race identity in B.C. who has made several documentaries on the increase of mixed-Asians in the province, co-founded the Hapa-palooza festival in 2011, to celebrate people of mixed roots in Vancouver. He is focused on fostering a sense of community amongst mixed Asians in the city. “Vancouver has a diverse mix of people, and that’s why we started Hapa-palooza because there wasn’t anything to fill that need,” he said. However, for younger mixed-race people from Canada or abroad, university is the place they feel more comfortable expressing and exploring their identities on campus. Yet, Chiba Stearns finds it strange there isn’t a mixed club at UBC given the high number of mixed Asians at the university, but thinks the institution still offers a space to learn more about one’s own background. “University is where, as a student, you’re easily influenced and you’re trying to find yourself. I think that’s where a lot of identity searching comes into play,” he said. 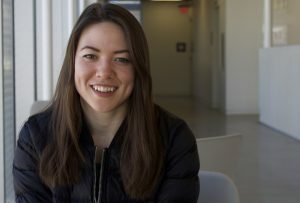 UBC has no records about the ethnic backgrounds of its students, but Hechler is one of many mixed Asians at UBC who relate to the phenomenon of identity searching. “I had never experienced or accounted half-Asian people before – so that was pretty cool to meet other people of similar backgrounds. Half-Asians have a very distinct look – I can spot them very easily now,” said Hechler. 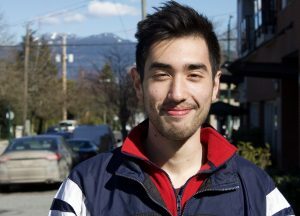 But for this growing population, what is it really like to be a young mixed-Asian in Vancouver? 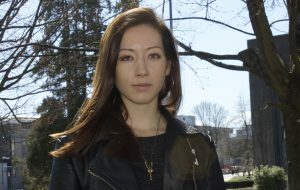 Here are more stories from mixed-Asians at UBC. Rob Hechler – German and Japanese from Brandon, Man. Rob Hechler grew up in Frankfurt to a German father and a Japanese mother, before moving to Brandon, Manitoba in 2006. Moving to Vancouver has changed his outlook on his heritage and UBC helped foster his identity. “Brandon is a town of 50,000 and there aren’t a lot of Asian people there. All my friends were hockey guys and all white people. So I grew up thinking I was white and was known as the German kid not the Asian kid,” said Hechler. While Hechler never experienced direct racism over his Asianness, he was subject to a different kind of discrimination. “Manitoba has a very high Indigenous population so people just assumed I was Indigenous. When I was playing hockey, other teams would be racist towards me, but not towards my Asian side. They would say stuff about how ‘native people can’t afford to play hockey’ – I never got chirped for being Asian at all which was weird,” he said. Aaron Wilford was born to an African-American father from Detroit and an adopted Korean mother. He was raised in Sacramento, Calif. before moving to Hawaii at the age of eight where his family still lives. Wilford embraces his unusual background and is pleased to have come to such an international city for his studies. “Here people always ask me where I’m from or what’s your mix. I’ve had so many times when I’m working when random customers ask me. I don’t mind it. People are just curious,” he said. 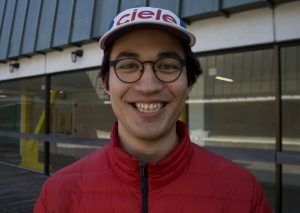 Wilford grew up around a lot of Asian people in Hawaii and explains that his time at UBC has instead helped him connect with his black background. At the same time, Wilford is learning Korean in his spare time. “Even though my mum is adopted she always wanted to learn Korean and cook Korean food so in that sense I grew up as an American-Korean. I started trying to learn Korean this January. It was a hobby and if I’m going to learn anything it might as well be Korean,” he said. Wilford is using the university’s free language program UBC Tandem to kickstart his Korean. Amy Wong Strilchuk – Chinese and Canadian from Toronto, Ont. Amy Wong Strilchuk was born in Toronto to parents of Chinese, Ukrainian, Polish and French descent. She studied at the University of Toronto as an undergraduate, before moving to Vancouver to study for a master’s program at UBC. Strilchuk says she has always been relatively comfortable with her identity. “In Toronto, I went to an elementary school which was predominantly Asian. So I felt a little out of place being half-white. Sometimes I felt a little left out because I was not fully Asian,” she said. “But at university I’ve never felt like that because it’s so multicultural – it doesn’t matter what you are – everyone is accepted”. Still, Amy does not feel “Chinese” enough to go along to the Chinese society and is interested by the prospect of a mixed-race club. “There are Asian clubs but I feel like I can’t join them. I definitely wouldn’t feel like I would belong in the Chinese society. There is a mixed-Asian festival in Vancouver (Hapa-polooza) and I think that’s kind of neat. But the point of mixed people being together is accepting everybody, so that might be a bit weird,” she concluded. Toby Ashiwa’s father is from Pennsylvania, but he spent 17 years growing up in his mother’s native Japan. He is used to standing out in Tokyo as a hafu – the literal Japanese name for the rapidly growing half-Japanese/half-foreign population. But he says the diversity at UBC has still had a profound effect on his sense of self. “I realised my core identity is really influenced by Japanese culture, but being here has made it more flexible. While I’m in North America I can adapt to the customs and culture and I feel comfortable doing so, as it’s also part of my identity,” he said. 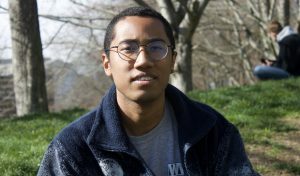 Ashiwa also believes the student population at UBC takes an active interest in people’s backgrounds and doesn’t simply racialize people in categories like he experienced in the United States. “When I’m at UBC my half-Japanese side is more represented. In America you’re Asian-American – a very broad categorisation. At UBC they want to know, not just if you’re Asian but what kind of Asian are you. Even when I talk to non-Asian people, they will still ask me. I think there is more intrigue here,” he said. Yasmin Vahedi – Iranian, Indian and Australian from Vancouver, B.C. Yasmin Vahedi was born in Malaysia to an Iranian father and half-Indian, half-Australian mother. “I’m pretty sure we just started our own ethnicity in our family,” she jokes. Vahedi lived in many different countries growing up, but she’s found UBC to be a place for everyone, particularly compared to some of her previous experiences living in Australia and the United States. 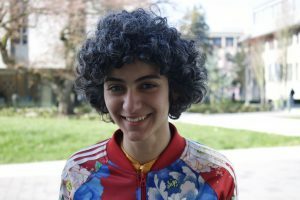 “I wanted to be close to my family and I knew that UBC was a nice campus,” she said. “When I was away I lived in Los Angeles and Australia and there was this very stark contrast between the openness of people and how polite they were, and how open they were to you being of a different background – it was very clear I was an outsider no matter what I did,” she said. For Yasmin, her Bahá’í faith is as important to her as her ethnicity, but she has been able to meet other mixed-race people through her religious beliefs. “My main community regardless of my heritage has always been the Bahá’í community, and that’s very mixed – there are Persian people, there are Asians, it’s a very mixed community,” she said. Alice Harada – Japanese and British from London, U.K.
Alice Harada was raised by her Japanese mother in south London and moved to Canada to study for a masters in gender, race, sexuality and social justice. She is overwhelmingly positive about her experience at UBC but says her accent often throws people off. “I haven’t been discriminated at all because I’m mixed-race. But when people hear my accent they’re like ‘Oh, I didn’t expect you to sound like that’ and point in my general direction and I’m like ‘Why, because I look Asian?’,” she said. University has allowed Harada to become confident with who she is and her mixed background. “I feel comfortable now and being mixed is not that important to me. I don’t really think myself as British/Japanese, I’m just who I am,” she said.